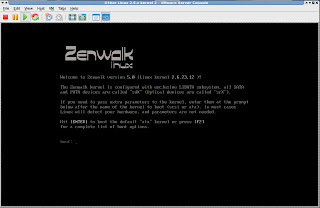 Zenwalk Linux is probably one of the most if not the most well-known Slackware-based Linux distribution today. It is ranked consistently high on Distrowatch and has a good number of active users and community members. 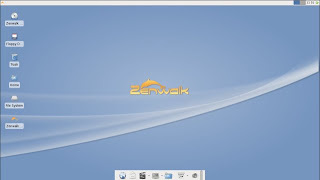 The popularity is mainly due to Zenwalk’s simplicity, ease-of-use, and Slackware-like stability. I can clearly prove this as I have been a Zenwalker before. My last great Zenwalk experience was with version 4.8, so when 5.0 came out, I never hesitated to get it immediately. I noticed just recently that Zenwalk comes in four different flavors, namely Standard Edition, Core Edition, Live Edition, and Server Edition. You can go to Zenwalk’s website for complete details and to download. Zenwalk 5.0 SE has the same old-fashioned Ncurses-based text-mode installer. The set-up is actually very straightforward that new-to-Linux users shouldn’t fear. It’s even a lot easier if the partition is already prepared. Like in my case, I only selected the “Autoinstall” option because I dedicated the entire VM disk for Zenwalk. The installer took care of creating the root and /home partition, and then copied the necessary system and application files. The whole process took only around 10-15 minutes to complete. After that, I configured the LILO bootloader, hardware clock and timezone, plus other services. Then, the system rebooted for the first time and midway through booting, some license agreement forms will appear (blah 3x). Lastly, I configured the sound device, language, and the user accounts. I considered the whole installation a complete success as it was pretty much flawless. As always, XFCE is Zenwalk’s default desktop manager. The theme and artwork had a very cool and light aura. The theme now which is called “Zen” is actually different from version 4.8, which I can’t remember the name. It’s rounded and sleeker looking than the previous version. The default wallpaper is just very plain and simple. The desktop arrangement in Zenwalk is its trademark two panels, with the lower panel shorter but a little bit wider than the top panel. I’m not really into this kind of setup as it takes too much desk space, so I easily removed the lower one and just settled for the one on top. XFCE is highly customizable but you may need some patience to tweak everything because it is not as easy to do compare to in KDE or in Gnome. Anyway, the best thing about XFCE is its speed and efficiency. Zenwalk is packed with free/open-source goodies despite its limited size. 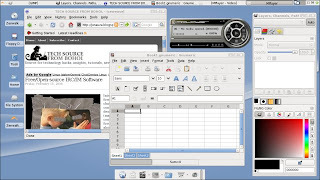 It has a wide array of software applications for productive uses such as IceWeasel (Firefox Rebranded) web browser, GIMP image editor, Pidgin IM client, Brasero CD burner, Abiword and Gnumeric office programs, and plenty more. By the way, Flash and Java is not installed by default just like in previous versions of Zenwalk. However, there’s a graphical package manager called Netpkg that will take care of downloading and installing additional packages as well as for removing and updating software. I installed Flash without a hitch and I was watching Youtube in no time. However, I still hate IceWeasel’s HTML rendering in Zenwalk. Anyway, I find Netpkg not as clear-cut as other package management tool like Synaptic for example. Beginners might find it difficult to use at first but will love it for its reliability. 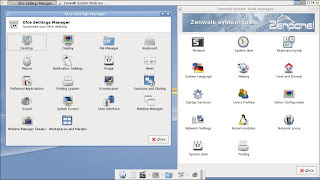 Zenwalk has also a handy system tool manager called “Zenpanel” that basically functions like a control center for important hardware devices and system configurations. For me, a distro’s stability can be first noticed or observed based on how it detects and supports key hardware devices. Zenwalk 5.0 did it incredibly well by correctly configuring my important hardware components like audio, USB, and CDROM. Ethernet was also working immediately after the first reboot without the need for additional setup. 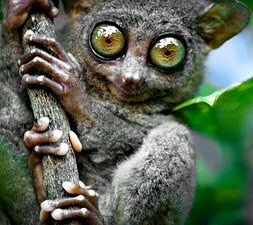 My monitor's screen resolution was also properly configured and could be adjusted to my desired size without any trouble. However, I encountered a few minor hiccups while running some applications, but it didn’t affect the overall performance. From version 3.0 up to now, Zenwalk didn’t fail to impress me. In fact, I think it keeps on getting better and better after every release. The speed, ease-of-use, and stability were much improved in this latest release. The light footprint and the featherweight desktop still make Zenwalk ideal for low-end computer hardware. I will definitely install it if I have a Pentium III class machine with less than 256 MB of RAM. Using Zenwalk may not be a walk in the park if used by Linux beginners, but it’s almost there. Minus the installation, particularly the partitioning portion, I would say without doubt that it can easily become a newbie-friendly distro. A little bit of patience and some Linux love are all you need to fully appreciate a wonderful distro like Zenwalk. Wow I love reading your review jun. Keep up the good work for Linux. New Linux users like me are learning from this. Thank you. Nice Review. I would love to try Zenwalk too. I have been using Ubuntu for several months already and I want something different and something lighter. I'm torn between Zenwalk and WolviX. What can you recommend best? Thanks all for the comments. I honestly haven't tried WolviX yet, so I guess I would have to agree with Werewolf here. Frugalware is already on my list, and I shall write a review about it real soon. I installed 4.8 on my wide screen notebook and I loved it. Unfortunately, Zenwalk was unable to adjust to the with of the screen and I had to take it off as everything was stretched and distorted. I'm wondering if this issue has been fixed in the latest release? As you said, probably the most famous Slackware based distribution. The distrowatch.com ranking today of the top 50 Slackware based: Zenwalk (13) Slackware (14), Vector (20), Slax (25), Frugalware (35), GoblinX (36), Absolute (37). I didn't encountered any problem with 5.0 regarding the display. If you really love the previous Zenwalk version, I think you should get 5.0 now. Thanks a lot for the comment and for the info. I tried Wolvix, and Slackware 12, wouldn't work at all,.. I'm a distromaniac and have tried them all. However, after playing with Zenwalk 5.0 I have stuck with it and installed it on my main box. I was impressed that a slack distro could be so easily maintained. Thanks for your review. Great stuff! Thanks a lot Dale. I'm glad that you are satisfied with Zenwalk as IMO it's currently the best Slackware-based distro. I'll be trying and reviewing more distros soon so watch out.